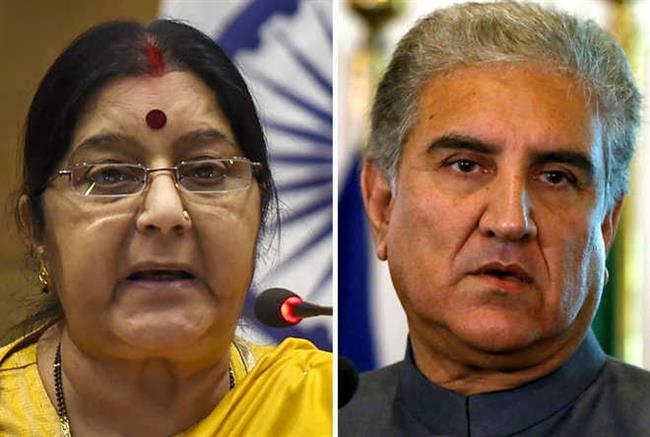 Days after cancellation of proposed talks between Foreign Ministers of India and Pakistan by New Delhi followed by heated exchanges on both sides, Sushma Swaraj and Shah Mehmood Qureshi would be attending a SAARC meeting on Thursday. Asked about India-Pakistan ties and possibility of any pull aside with Swaraj during the SAARC meet, Qureshi earlier told reporters, "I don't want to vitiate the atmosphere. We want peace and better relations. Else only two phrases are enough to spoil something. We don't want to spoil."